The network renewed the show for a sixth season for its stellar coverage of the artists that didn’t get the same love as those they supported along the way. “Unsung” is TV One’s longest running series, and has featured artists that have contributed greatly to pop culture over the years. 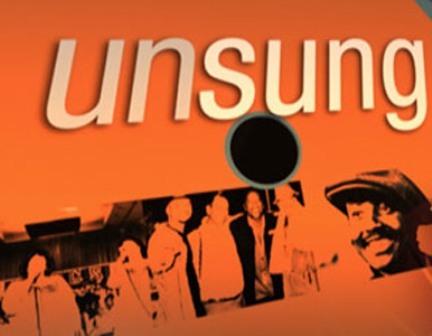 “Unsung” is narrated by actor Gary Anthony Williams, and is executive-produced by Arthur Smith, Kent Weed and Frank Sinton of A. Smith & Co. Productions for TV One. Mark Rowland is Co-Executive Producer. Executive in charge of production for TV One is Jubba Seyyid. @redbone1954, I concur I thoroughly enjoy this series, cannot wait for the new season. this here is one of the few shows I actually look forward to. I enjoy Unsung but some of their segments have come up short or it sticks to the script instead of seeking out a balanced story. Other than that, it is starting point for young generation who would like to know about our legends. I always watch, but I sincerely hope the producers fact check their episodes from now on. I have seen plenty of Unsung epiodes where major accomplishments of the artists were completely left out leaving the viewer to think that the artist’s hits dried up…and it is not true at all. Examples are Gerald Levert and ignoring The O’Jays 80’s/early 90’s resurgence, not even mentioning Bobby Womack’s biggest hit “Looking For A Love” in 1974 and ignoring his 1980’s hits following “If You Think You’re Lonely Now,” not even mentioning Millie Jackson’s huge hit “If You’re Not Back In Love By Monday,” etc. Plus, the episodes rely too heavily on the pop chart peak position of artists and ignoring the old Billboard R&B chart positions when it is supposed to be Unsung – telling the story from a R&B perspective – OUR heroes. We R&B fans take it all seriously so the producers need to take us more seriously. Fans know the complete stories.